At the beginning of the season, the manager’s first-choice pairing was Joel Matip and Lovren (probably in that pecking order, too), but the Cameroonian has struggled in 2017/18 – with injuries and form. As a result, he’s missing the Champions League Final, and with van Dijk’s £75m arrival – Matip is no longer our go-t0 centre-back option. So when Lovren, who has improved as a result of the Dutchman’s leadership qualities beside him, claimed as much in the press, Klopp gave a nod to Matip rather than agreeing. Klopp told Dejan Lovren said earlier he feels more confident since @VirgilvDijk arrived. “I bet Joel Matip would love that. It’s not so much a telling off, but a gentle warning to Lovren not to make comments that indirectly bring a team-mate down while bringing another up. Although having said that, Lovren is spot on – considering his enormous improvement since van Dijk began marshalling our backline. However, Matip has an entire summer to get fit and back in the kind of form we saw him in during 2016/17. He’s not going to the World Cup, while Lovren is – so perhaps has more time to connect with van Dijk – whose Netherlands side also didn’t qualify. 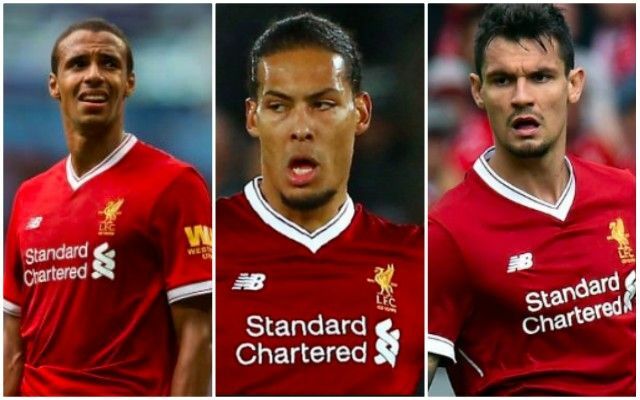 We have no favourites in the race long-term, but based on the evidence of 2018, are glad it’s Lovren lining up alongside van Dijk on Saturday night.